Located at Shoreditch Overground Station in London is BOXPARK, a two-story boutique mall entirely constructed out of refitted shipping containers. We were told by one friend from London that the Shoreditch neighbourhood is an “up and coming neighbourhood”, but by another friend, that “it already came”. Stylish boutique shopping, hipster cafes, and even some luxury brands have opened in this cool neighbourhood. It’s one of those areas that still has graffiti on the walls, contrasted by new and shiny restaurants and hip concept shopping – like BOXPARK. 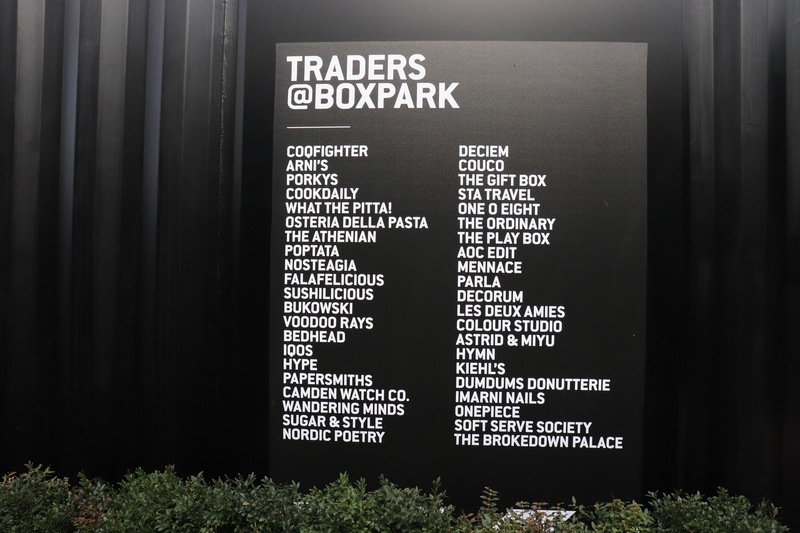 Opened in 2011, BOXPARK is pop-up mall for independent and global, fashion and lifestyle stores and cafes. On the top floor of BOXPARK, streetfood-inspired eateries, including “BOXBAR“, have arranged themselves into a modern cafeteria. This is one of the places where you’ll want to order a few dishes and share among friends to try more variety. Take-away dining is encouraged, as you can eat at one of the numerous long, communal wooden picnic tables. 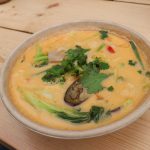 We shared a Coco Soup Bowl from Cook Daily, a vegan eatery which offers everything from Asian to Caribbean-inspired bowls. 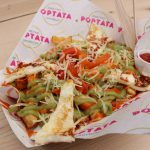 We also ordered from Poptata, which is known for their street-fries and loaded with anything from fresh parmesan and pink garlic mayo (The “Parmesan”), cheddar and yellow curry sauce (The “Indian”), or smashed avocado, goat cheese, fries and roast peppers (“Guaca Fries” – shown below). After lunch, we browsed through the boutiques at BOXPARK. One interesting store that caught my eye was DECIEM. During the few days I was in London, I saw several shoppers carrying bold and eye-catching “The Abnormal Beauty Company” shopping bags. To my surprise, the brand is actually a Canadian skincare company based out of Toronto. 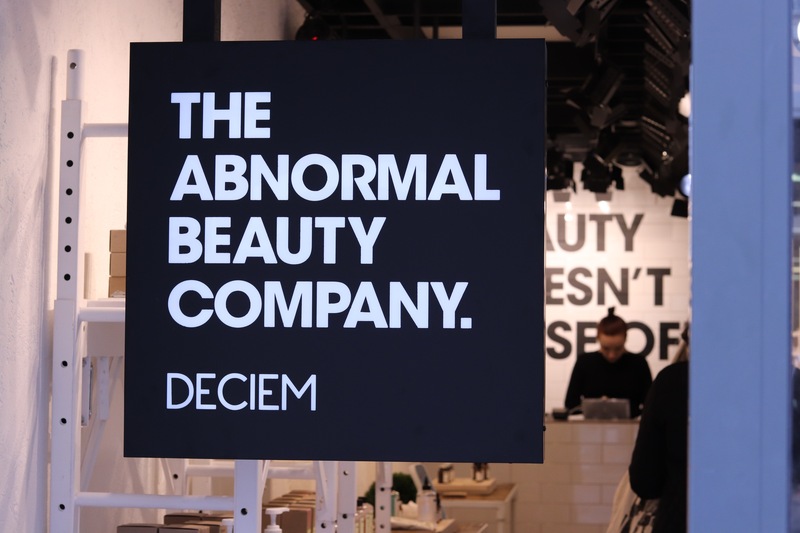 DECIEM is the parent company, which has a store at BOXPARK, along with a stand-alone brand store for their most well known “The Ordinary” brand. The Camden Watch Co. (watches) – The Camden Watch Company celebrates all that is British, drawing inspiration from both the rich industrial heritage and eclectic, vibrant present of Camden Town. 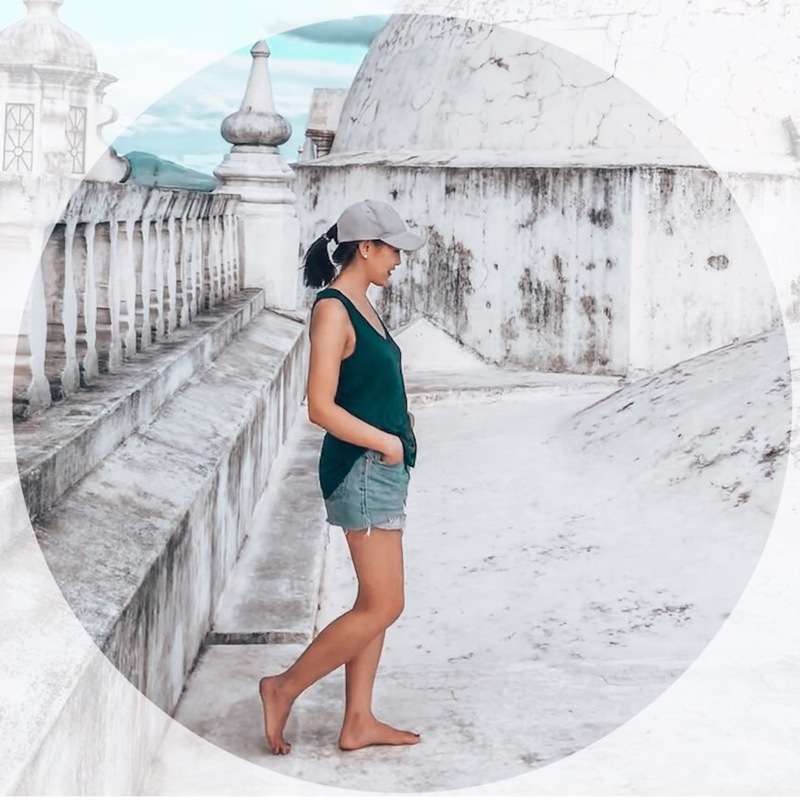 Pärla (jewelry) – With sustainability and Scandinavian styling at its heart, Pärla houses a small collective of British, Scandinavian designers, each of whom present pieces that can be worn from season to season or update a classic look with a modern twist. Papersmiths (stationary) – An eclectic collection of writing instruments, artist pencils, notebooks, sketchpads and memo pads from international brands and designers sit alongside tools, refills and accessories. As well as stationery, you’ll find a curated selection of design, lifestyle and travel publications. 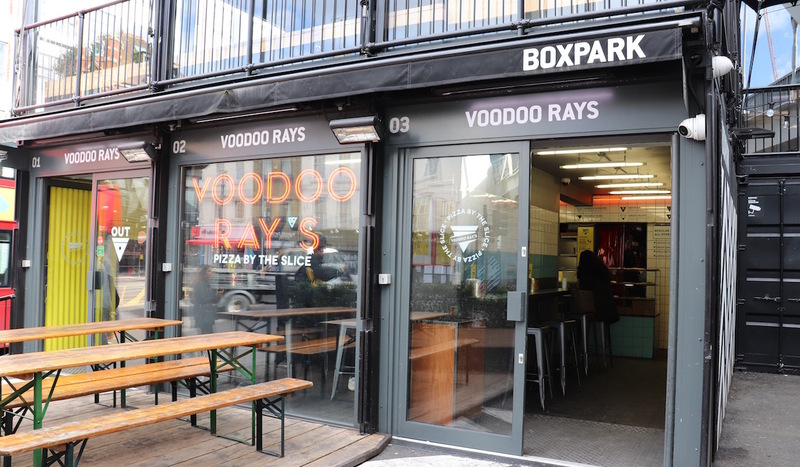 When BOXPARK first opened in 2011, its aim was to “bring dining and fashion back to the street and provide fertile ground for independent and established retailers to reach a large audience in a big and eye-catching way.” Well, BOXPARK, you sure caught our eyes and attention! BOXPARK Shoreditch is located at: 2-10 Bethnal Green Rd and can be easily accessed via the Shoreditch High Street Overground Station. I love this place. I live in Birmingham and would love to be able to visit. Maybe one day soon. I have marked this down for when I cross the pond for my next business trip.